Erika Alexander is an American actress. She is best known for her roles as Pam Tucker on the NBC sitcom The Cosby Show, and as Maxine Shaw on the FOX sitcom Living Single. She has won numerous awards for her work on Living Single, including two NAACP Image Awards for Outstanding Actress in a Comedy Series. She was raised in Philadelphia, Pennsylvania. Alexander got her big break as Pam Tucker on the critically acclaimed NBC sitcom The Cosby Show. She later starred alongside Whoopi Goldberg in the 1990 civil rights epic The Long Walk Home. 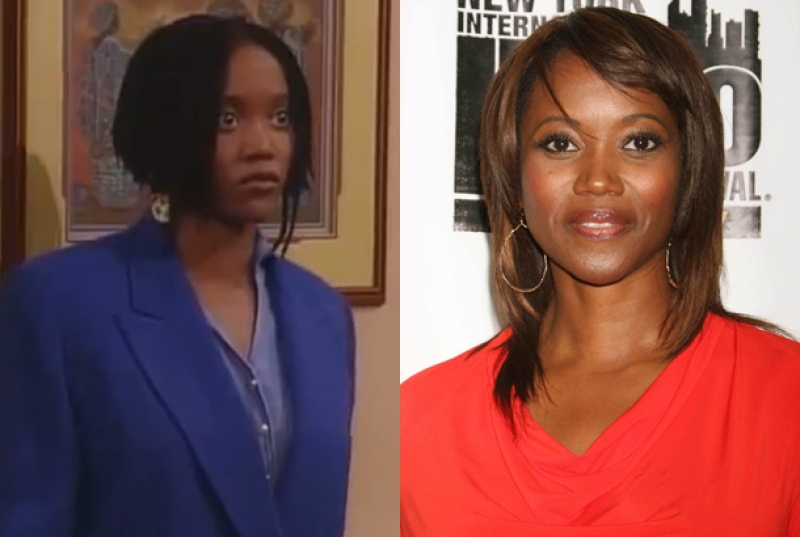 Perhaps her most memorable role was as acid-tongued attorney Maxine 'Max' Shaw on the FOX sitcom Living Single, a role she played for five years. In 1992, she appeared in the short-lived sitcom Going to Extremes, which centered on a group of American students at a medical school on a fictitious Caribbean island named Jantique. In 2002, she played probation officer Dee Mulhern in the Showtime series Street Time, which ran for two seasons. In international cinema, Alexander played the role of Hidimbi in Peter Brook's adaptation of The Mahabharata. She also played a young Flora in the TV miniseries Mama Flora's Family. Her voice is featured on The Bible Experience. She shares her birthday with Living Single co-star TC Carson and also appeared in Toni Braxton's music video for "You're Makin' Me High." She also appeared in the 2009 film La Mission opposite Benjamin Bratt. In 2011, she appeared in season 7, episode 13 of House M.D. where she played the character Ms. Fields. Erika Alexander is married to artist/screenwriter Tony Puryear. She is one of six children born to Rev. Robert Alexander and school teacher and children's book author, Sammie Alexander. She actively campaigned for Hillary Clinton and toured college campuses with Chelsea Clinton, during the 2008 Democratic primary.